The spooky women of WITCHES BREW, Allison Mick and Aviva Siegel join us to talk chili dogs! 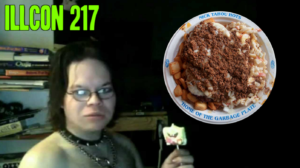 Legendary Youtuber KINGCOBRAJFS calls in to promote his new album! SIQQ PIQQS – Character Actors! Get KingCobraJFS‘ new album Willows of Sorrow!